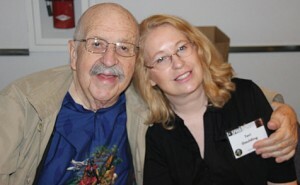 Joe Haldeman has served twice as president of the Science Fiction Writers of America and is currently an adjunct professor teaching writing at the Massachusetts Institute of Technology. 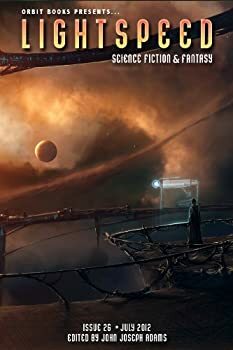 William Mandella, a genius studying physics, has been drafted into the elite division of the United Nations Exploratory Force, which is fighting a seemingly never-ending war with the Taurans. After strenuous training with other elites on the Earth and in space, William and his colleagues are sent on various missions throughout the universe, traveling through black holes to get to each warfront. During each mission some of William’s friends die, but that’s expected. What’s surprising is that when he returns home, very little time has passed for him, but space-time relativity has caused many years to pass on Earth. Thus each time he comes back, he’s shocked by the changes that have occurred — changes in people he knows, changes in society, and technological advances which affect the progress of the war. 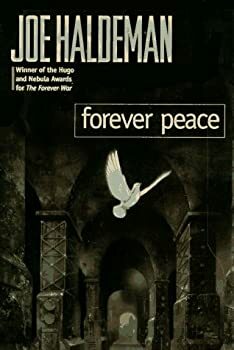 Joe Haldeman’s 1974 The Forever War and 1997 Forever Peace were huge successes for the author, winning many of science fiction’s most prestigious awards, not to mention garnering him a solid fan base in the process. Though they share similar sounding titles and a military motif, little else between the two novels resembles the other. 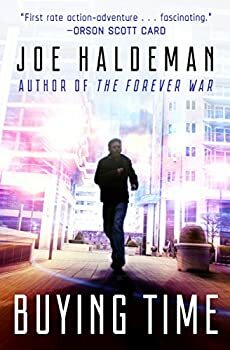 When it was announced in 1999 that Haldeman would be publishing a true sequel to The Forever Warentitled Forever Free, the sci-fi community was abuzz: William Mandella was returning. Opinion in the aftermath could not be more divided. Dallas Barr is a Stileman — one of the few humans who’ve paid a million pounds and given up all their assets to have their bodies rejuvenated. These folks need the process repeated every decade or so, so they spend that decade earning the money needed for the next treatment. To keep the Stilemen from gaining too much wealth and power, they’re required to give up their assets each time. This leads to the funding of many philanthropic initiatives around the world. When Dallas and his girlfriend Maria discover a conspiracy affecting the Stileman Process, they are forced to run for their lives. If they can’t shake their pursuers and don’t solve their problem in time, their immortality will run out. While on vacation in Key West, John Baird, a Hemingway scholar, meets a conman named Castle in a bar. After telling Castle about Hemingway’s missing manuscript, Castle suggests that they forge it and make a lot of money. Baird refuses, of course, but Castle enlists Baird’s wife Lena and the two of them talk John into creating a forgery. Under pressure from his wife and his rapidly dwindling finances, John goes along with the plan but, unbeknownst to his co-conspirators, he makes a backup plan to protect himself in case of detection. Meanwhile, Lena and Castle are working another angle and the stage is set for betrayal, adultery, and murder. 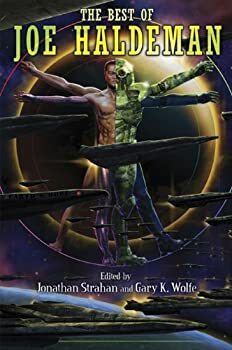 Stories by Joe Haldeman are always a good things and Subterranean Press has recently put out this “Best of” collection edited by Jonathan Strahan. The hardcover book has 504 pages and includes a general introduction by Joe Haldeman and 19 of his stories. Each story also has a short introduction which reveals some insight into its crafting — perhaps where the idea came from, or some trouble he had writing or placing it, or how he did his research, or his interactions with his agent or editor. I’m not a writer, but I always find these author introductions interesting. It's not the magazine that's horrible; it's that the magazine contains horror fiction. A perfect mood setter for Halloween! Because Wednesday is Halloween, here’s another serving of the new magazine Nightmare, edited by John Joseph Adams. The second issue of this new online magazine makes me think we’ve got something special going here: the fiction is excellent, the nonfiction informative, the art compelling. FORMAT/INFO: Warriors is 736 pages long divided over twenty short stories and an Introduction by George R.R. Martin. Each short story is preceded by biographical information about the author and a short description of their contribution to the anthology. 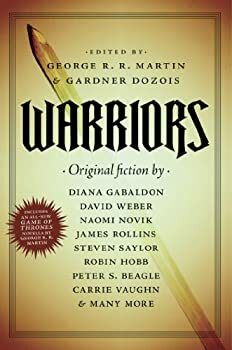 March 16, 2010 marks the North American Hardcover publication of Warriors via Tor. 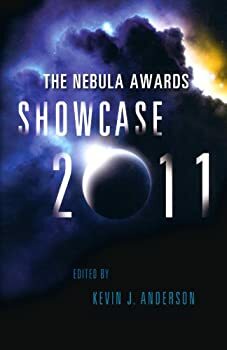 Marsbound — (2008-2011) Publisher: A novel of the red planet from the Hugo and Nebula Award–winning author of The Accidental Time Machine and Old Twentieth. Young Carmen Dula and her family are about to embark on the adventure of a lifetime — they’re going to Mars. Once on the Red Planet, however, Carmen realizes things are not so different from Earth. There are chores to do, lessons to learn, and oppressive authority figures to rebel against. And when she ventures out into the bleak Mars landscape alone one night, a simple accident leads her to the edge of death until she is saved by an angel — an angel with too many arms and legs, a head that looks like a potato gone bad, and a message for the newly arrived human inhabitants of Mars: We were here first. Mindbridge — (1976) Publisher: Jacque LeFavre is a tamer – a member of one of the tough and honed exploration teams that, since the dramatic discovery of the Levant-Meyer Translation, humankind has been able to send to the stars. And Jacque’s first world is the second planet out from Groombridge 1618. It isn’t an especially promising place; the planets accompanying small stars rarely pan out. 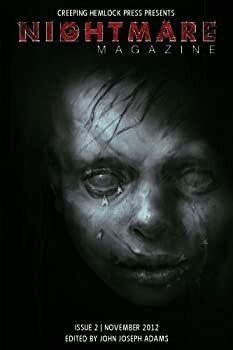 But the strange and mysterious creature that Jacque and his colleagues find there, with its gift of telepathy, leads to contact with the alien and enigmatic L’vrai, and confronts humankind with an awesome opportunity — and appalling danger. Tool of the Trade — (1987) Publisher: Nicholas Foley appears to be an ordinary American psychology professor. He is, in fact, a Russian spy, inserted into the United States after World War II, joining the American army, attending American universities, falling in love and marrying an American, but always in touch with his Soviet superiors. All he ever does in the way of spying is turn in the names of people who might be “turned.” But then he makes his momentous discovery. He isolates an ultrasonic frequency that causes anyone within earshot to do whatever he is told. A few demonstrations send both the Russians and the Americans after Foley with a vengeance. Eluding both, Foley uses his tool to strike a blow for world peace, as envisioned by a Sixties hippie, his wife. Guardian — (2002) Publisher: In the late nineteenth century, a seemingly ordinary woman embarks on an extraordinary adventure in the Alaskan gold fields–after her destiny is revealed to her by something not of this world. Old Twentieth — (2005) Publisher: The twentieth century lies hundreds of years in humanity’s past. But the near-immortal citizens of the future yearn for the good old days — when people’s bodies were susceptible to death through disease and old age. Now, they immerse themselves in virtual reality time machines to explore the life-to-death arc that defined existence so long ago. Jacob Brewer is a virtual reality engineer, overseeing the time machine’s operation aboard the starship Aspera. But on the thousand-year voyage to Beta Hydrii, the eight-hundred member crew gets more reality than they expect when people entering the machine start to die. The Accidental Time Machine — (2007) Publisher: Grad-school dropout Matt Fuller is toiling as a lowly research assistant at MIT when he inadvertently creates a time machine. With a dead-end job and a girlfriend who left him for another man, Matt has nothing to lose in taking a time-machine trip himself?or so he thinks. 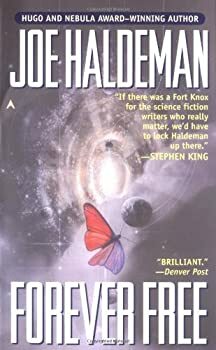 Work Done For Hire — (2014) Publisher: Joe Haldeman’s “adept plotting, strong pacing, and sense of grim stoicism have won him wide acclaim” (The Washington Post) and numerous honors for such works as The Forever War, The Accidental Time Machine, and the Marsbound trilogy. 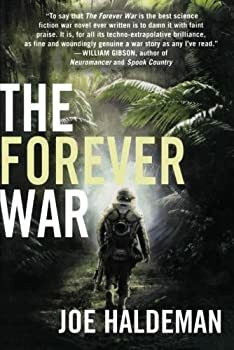 Now, the multiple Hugo and Nebula award–winning author pits a lone war veteran against a mysterious enemy who is watching his every move — and threatens him with more than death unless he kills for them. Wounded in combat and honorably discharged nine years ago, Jack Daley still suffers nightmares from when he served his country as a sniper, racking up sixteen confirmed kills. Now a struggling author, Jack accepts an offer to write a near-future novel about a serial killer, based on a Hollywood script outline. It’s an opportunity to build his writing career, and a future with his girlfriend, Kit Majors. But Jack’s other talent is also in demand. A package arrives on his doorstep containing a sniper rifle, complete with silencer and ammunition — and the first installment of a $100,000 payment to kill a “bad man.” The twisted offer is genuine. The people behind it are dangerous. They prove that they have Jack under surveillance. He can’t run. He can’t hide. And if he doesn’t take the job, Kit will be in the crosshairs instead. 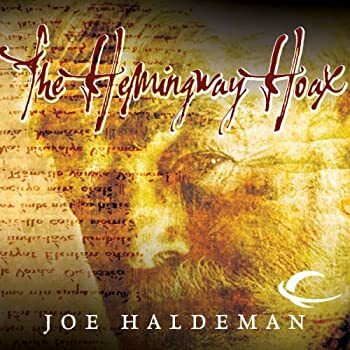 CLICK HERE FOR MORE BOOKS BY JOE HALDEMAN.